Should CFIUS Investigate Broadcom’s Hostile Takeover of Qualcomm? 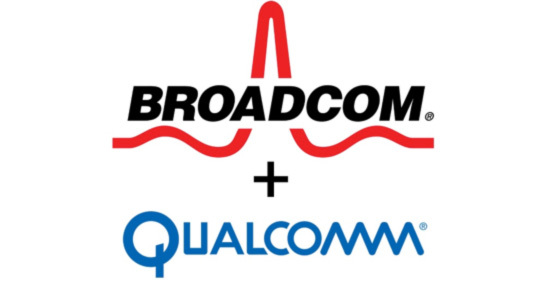 Broadcom, a Singapore-based global semiconductor company, will attempt a hostile takeover bid of their competitor Qualcomm, a San Diego-based leading semiconductor company. In their attempt, Broadcom will attempt to place 6 members on Qualcomm’s 11-person board of directors at Qualcomm’s annual shareholder meeting on March 6, 2018. A successful takeover bid would help pave the way for Broadcom’s acquisition of Qualcomm to get approved. This acquisition would result in Broadcom being the market leader in a variety of semiconductor chips that can be used in smartphones, autonomous cars, and data centers. There is debate in Washington whether the Committee on Foreign Investment (CFIUS) should weigh in on the matter prior to the anticipated March 6 shareholder vote. CFIUS is a statutory-codified nine-member panel which reviews foreign acquisitions of U.S. companies based on national security grounds. The CFIUS Committee is chaired by the Treasury Secretary, but also includes the Secretaries of State, Defense, Homeland Security, Commerce, Energy, the Attorney General, the United States Trade Representative, and the Director of the Office of Science and Technology Policy. Each Committee member must confirm no national security risk exists within the potential acquisition before a recommendation is then made to the President, who has the ultimate authority of whether to allow or prohibit the foreign acquisition. CFIUS takes many national security-related factors into consideration when reviewing an acquisition. Through CFIUS’ history, there is currently no precedent for CFIUS prohibiting a hostile takeover bid as compared to the Committee blocking a proposed acquisition of U.S.-based company, which CFIUS has done four times. Qualcomm is a market leader in the development of standards for 5G technology, which is the next generation of wireless technology. A direct competitor of Qualcomm is Huawei Technologies, a Chinese telecommunications company which has been aggressively attempting to set the global standards for 5G networks and has affectively been barred from the U.S. market after a 2012 Congressional report labeled the Huawei a national security threat, in that the company could use its equipment to spy or disable U.S. telecommunications networks on behalf of the Chinese government. Major U.S. telecommunication companies such as AT&T and Verizon do not use Huawei equipment and recently dropped plans to sell Huawei smartphones. The national security concern of a Broadcom acquisition would result in a weakened Qualcomm to set global 5G standards and effectively force AT&T and Verizon to use Huawei equipment. Members of the CFIUS Committee have expressed concerns that by not commencing an investigation prior to the March 6th vote could make proxy battles a method of foreign companies to evade CFIUS review. This could give the Broadcom-nominated board access to Qualcomm intellectual property, which is a factor currently used by CFIUS in determining whether a national security risk exists. Currently, any merger, acquisition, or takeover by a foreign person which could result in the foreign control of any person engaged in the interstate commerce in the United States is defined as a “covered transaction”, which CFIUS could review. On November 2, 2017, President Trump tweeted in classic fashion the announcement that Broadcom would move its headquarters from Singapore to the U.S. There is obvious speculation that this is a contributing reason why CFIUS has withheld an investigation. Unfortunately, only so much can be said in 180 characters, and Broadcom’s move to the U.S. rests upon a shareholder vote on May 6th. And if CFIUS were to consider Broadcom a U.S. company, any move Broadcom would potentially make would be outside CFIUS jurisdiction. Student Bio: Andrew is a 2L at Suffolk University Law School and a staff member of the Journal of High Technology. He holds a B.A. in History from Quinnipiac University.